Pop Gift Ideas. Items of Patricia Fernandez. 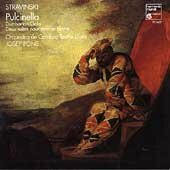 Stravinsky: Pulcinella/Deux Suites pour petit orchestre/Concerto "Dumbarton Oaks"/Josep Pons-Cond.